Here is one of our little secrets… The list of royalty-free stock picture banks that we regularly use in ThatsDesign Studio (and in many other startups) to make our flyers and templates. A large Public Domain photo repository with high resolution free photos and vectors. All copyright free photos and royalty free photos, and CC0 Photos. The Designer Studio, Superfamous, provides a free image bank rights offering, to date, almost 95 pictures. The pace of updates is not known. The photos are all downloadable in high definition. Little Visuals is similar to the image bank Unsplash but has so far only 91 free pictures. The image bank is, however, regularly updated with 7 new pictures free right every 7 days. Type of use of the image bank: Like Superfamous, there are mainly photos of landscapes. Interesting for headers or page backgrounds. Very interesting for use in print. Special features: It is possible to subscribe and receive every 7 days, 7 copyright-free pictures zipped directly into his inbox. It also provides a picture search by hashtag, which can save a little time. Similarly, the image bank is entirely free Little Visuals rights CC0 license. 330 high resolution pictures and royalty free, this is offered by the advertising agency LifeOfPix of Montreal. This image bank is updated every week with new photos for free download. Type of use of the image bank: Interesting for any type of use. Site startup, food blog, etc … There are still a lot of landscape picture. Another plus for Life Of Pix, free right videos that can be used to animate site header. On the same principle as the image bank Unsplash Startup Stock photo features 82 royalty-free images.The frequency of updates of the images is not given. Images of the use of type: These royalty-free pictures are mainly focused on the world of startups. Mac or iPhone is almost always present in the photo … Top for header. By adding a small filter on the image and putting a text over, we get nice things. Special features: You can subscribe to the RSS feed and be notified of new free pictures are added to the image bank Startup Stock Photos. The free image bank rights of the photographer, Ryan McGuire based in the state of New York, will surprise you. This artist added every week, images shifted, fun and zany to its site. Type of use of the image bank: Ideal to react! Ryan McGuire images do not leave indifferent. Looking from the original, it’s the pictures for you! Specials: Photos wacky and aesthetic. All Gratis o Graphy site images are royalty-free, free and in HD. To discover ! 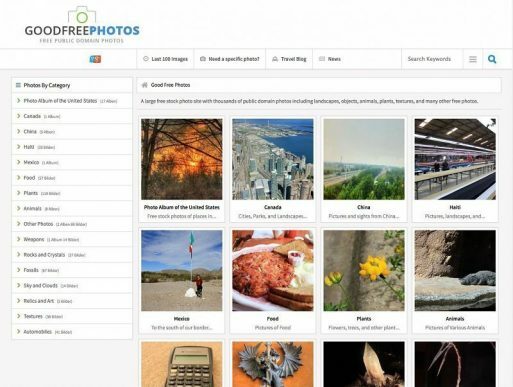 14 categories classify free image bank PicJumbo rights. Free New images are added daily to the site that lack of publicity. This does detract from the quality of images that are proposed. Type of use of the image bank: Rather broad. Through its many categories of images, anyone can find an interesting and always free photo to dress her website or posts. Special features: It is also possible to register their email to be notified of updates. The topics are varied and photos in high definition. Unsplash is surely the most famous banks free image rights in the mid Startups. The pictures are so beautiful that would almost want to print some to hang in either. 10 free pictures are added every 10 days to the image bank. Type of use of the image bank: Very wide. Print or web and some of your field of activity. The selection is varied and the pictures are a rare and worthy of great photographer quality. Special features: This image bank is well known in the small world of startups so do not hesitate to appropriate them by changing or adding filters to keep a personal touch. The photos are all: royalty free and in high resolution. Simple site with an efficient navigation with nearly 30,000 quality pictures and royalty-free. Type of use of the image bank: Gigantic. Due to its size, the image bank can meet all needs. Specials: Stockvault is in partnership with Shutterstock, so the first images that will be presented to you will not royalty free, but pay. Unlike many image banks, Photl offers clean image galleries to their site and suddenly not widespread on the Internet. You have access to nearly 507,000 quality pictures and royalty free, but the themes are still quite limited. Type of use of the image bank: The human and food are at the heart of the image bank. The search engine of free and royalty-free images par excellence. Very interesting as it allows access to a lot of pictures. Small note, sometimes the results are irrelevant because the search engine is relatively large in relation to your search query. The research results generally come from two following image banks. 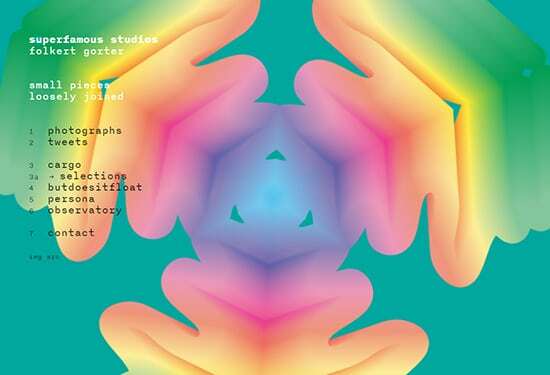 Images of the use of type: Given its size, this image bank must be able to meet all needs. Specials: Everystockphoto is an image bank that aggregates almost 10 free image banks rights. So you can stumble upon a video that you’ve already seen. Nice feature: You can choose the format of the desired image size by clicking on Advanced search. Flickr is the biggest website for the exchange of amateur photos … but do not be fooled by appearances.You will find some great achievements worthy of professionals. Exactly, little tip for your research. By entering the model of high-end cameras such as: Eos 7D fall on surprising results. Type of use of the image bank: Again, given the size and number of pictures added each day, the Flickr image bank can meet all needs. In summary, take photos under license “paternity”, you can then copy, distribute, display, and communicate the photo. If you want to change, then you must include the name of the author. The best site in our selection for the quality and diversity of the proposed pictures (photos, black and white, drawings …). Very nice site with about 400,000 qualitative pictures. Type of use of the image bank: Full. To illustrate a website, a blog, blog posts or even flyers, everyone should find something in this image bank. Special features: In partnership with istockphoto, we also propose you pay pictures. Interesting: You can also do your research in French. The disadvantage of these royalty free images photos is that they can be used by other websites. If you wish to have your singularity, there is an alternative … the surcharge. Banks to Pay images allow you to get more creative images than those that are free. Print and internet are also using a lot these image banks pay for reasons of cost and time. The price usually depends on the size of the photo and therefore its quality and originality of the photos. Depositphotos allows anyone to buy and sell high-quality stock photos, vector images, and videos. Shopping, well known especially in France offers its base in nearly 16 million pictures … Just that. Fotolia offers different photos ranges: the standard collection (photos, independent agency) and infinite collection (la crème de la crème photo agencies). You can pay by credit (€ 1.30 / credit) for casual buyers either by subscription for regular buyers. For a typical usage, prices range from € 0.75 to € 75 the photo. Getty Images is the world leader and offers images but also videos and music. The pictures are usually very creative and qualitative compared to what is found on other websites.